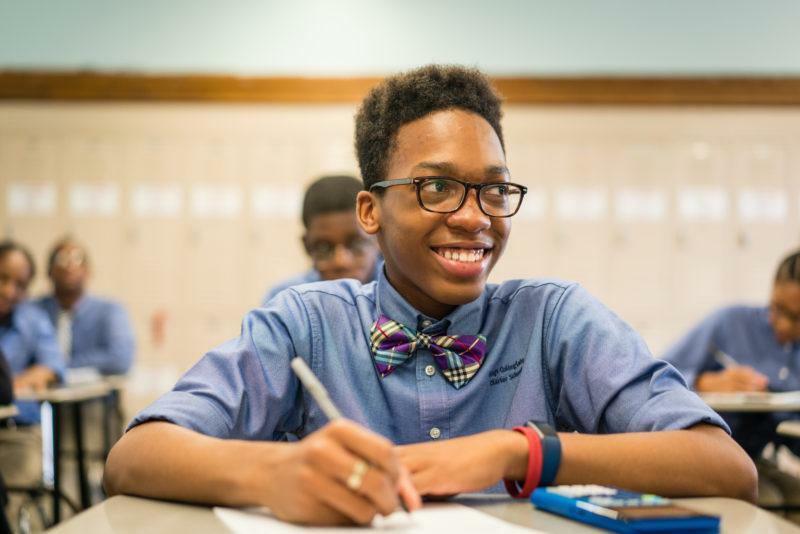 When you give to Uncommon Schools, you support our mission. Thank you for helping us to provide an outstanding education that puts students from under-served communities on the path to college graduation. Your dollars help sustain and grow schools that work. Uncommon is already the highest-performing large charter network in the nation. By 2022, we will send more than 1,000 high school graduates to college each year, setting them on the path to achieve their dreams. Your donation is carefully stewarded for maximum impact, given our commitment to running our fully grown schools on the public dollar. Support us by making a 100% tax-deductible donation today. Please specify the number of shares and the particular security. Please also include your name (or the donor’s name) so that we may properly acknowledge the donation. Account Name: Uncommon Schools Inc. Please contact giving@uncommonschools.org and we will be happy to provide detailed instructions for donating by ACH/wire transfer. Please contact giving@uncommonschools.org and we will be happy to answer any questions you may have about donating to Uncommon Schools.